The angular clamp is positioned manually in the T-slots of the press ram or bed. It clamps on the edge of the die by applying hydraulic pressure to the piston and unclamps by spring force. 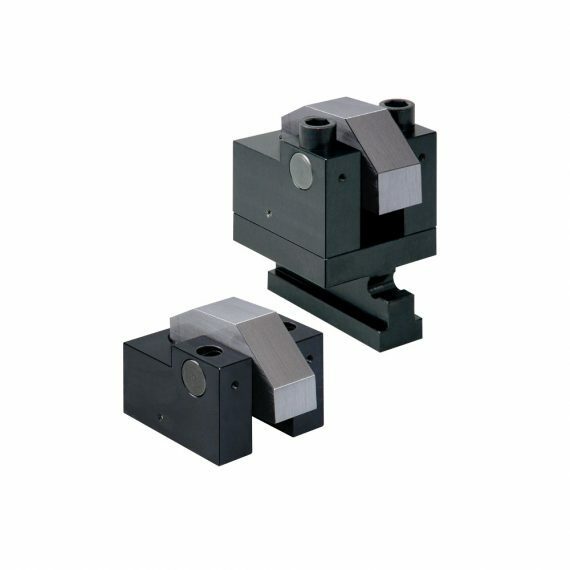 The angular clamp consists of a hydraulic clamping block which will be attached with two screws to a T-slot adapter. 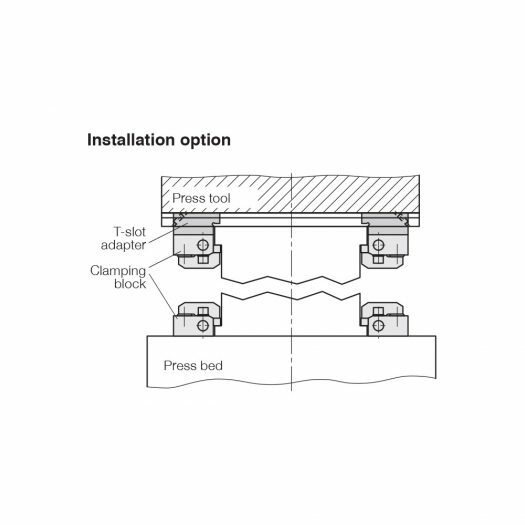 The clamping block can also be purchased separately to be directly mounted without a T-slot adapter. The angular clamp is suitable where space is limited. HCR-8.2314.0504 Angular Clamp, w/ Pos. Mon.